John M. Erickson, MD is a partner at the Raleigh Hand to Shoulder Center, a subspecialty clinic which has treated patients with hand to shoulder problems since 1991. 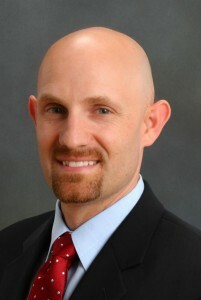 Dr. Erickson is dual board-certified in orthopedic and hand surgery. He joined Raleigh Hand to Shoulder Center after completing his fellowship training in 2010. Dr. Erickson offers his patients up-to-date surgical and non-surgical treatments for conditions of the hand and arm. His approach is compassionate and individualized for each patient, balancing conservative medical care with current surgical procedures. He works closely with on-site therapists to improve function, reduce pain, and improve quality of life.